Resident Foodies say: We ventured out on this cold Saturday in Chicago to try out brunch at Bar Lupo. a new Italian restaurant with a funky, eclectic and rustic decor. 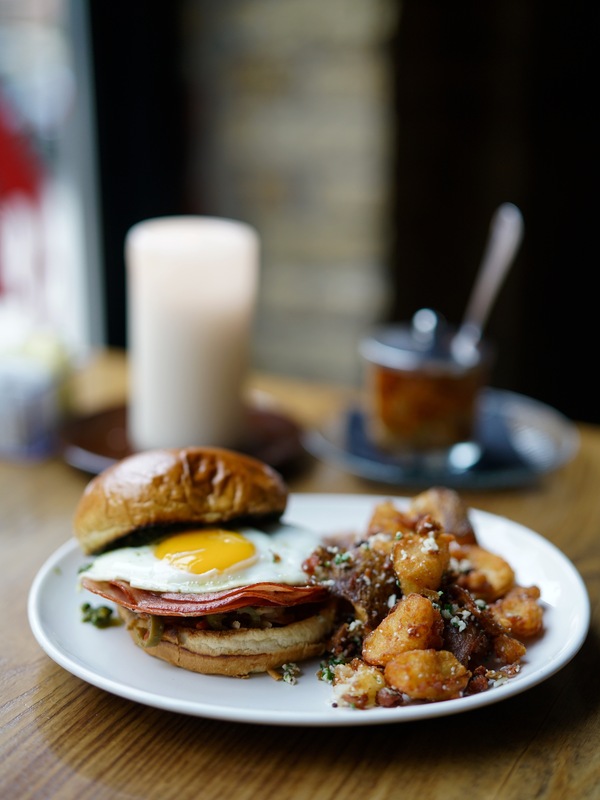 There was one item on the menu we knew we couldn’t pass up: the Bar Lupo breakfast sandwich. 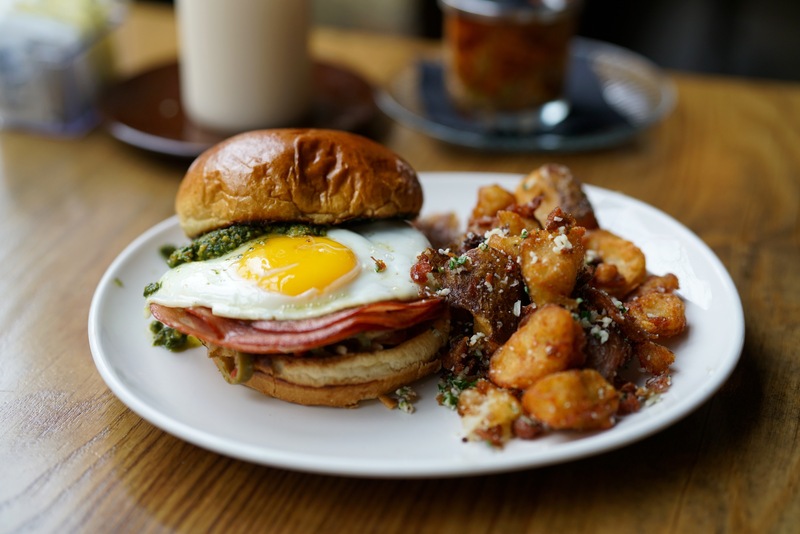 It consists of fried mortadella, a fried egg, cheese, pistachio pesto, and giardiniera to spread, all inside a brioche bun. Yum, yum! This sandwich is wondrous, a heavenly combination of scrumptious ingredients. The texture and taste ooze yumminess, and a bit of spice. Hands down, the best breakfast sandwich we’ve had. In fact, it may be the best new dish we’ve had this year. We were delighted to meet the mastermind behind this heavenly sandwich, Chef Marcos Ascencio, who used to be chef de cuisine at Park Hyatt. At Bar Lupo. 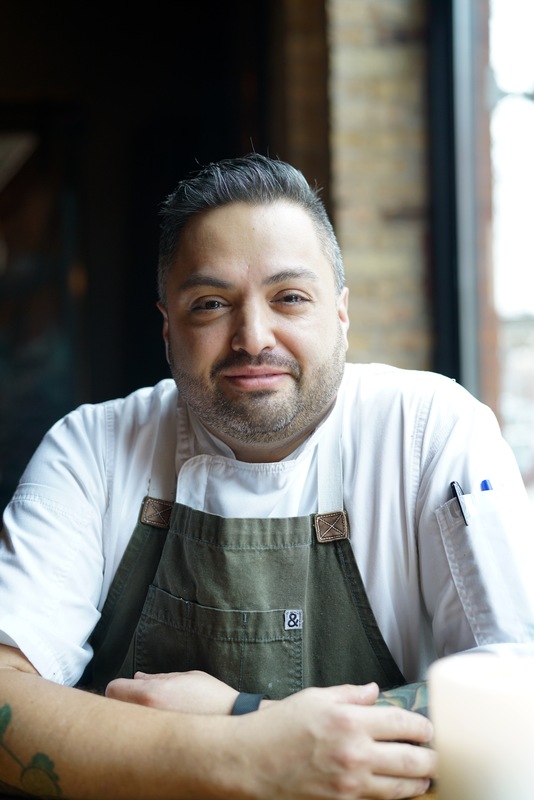 Marco has assembled Italian influenced dishes, including dinner and weekend brunch. We can’t wait to try out more.